Papčo’s works on view in the Biennale Gherdëina VI pay a tribute to the mountains’ heroes. A series Citizens, executed in bronze and wood, consists of sculptural portraits of mountain climbers, named Jaroslav, Miroslav, and Andrej. 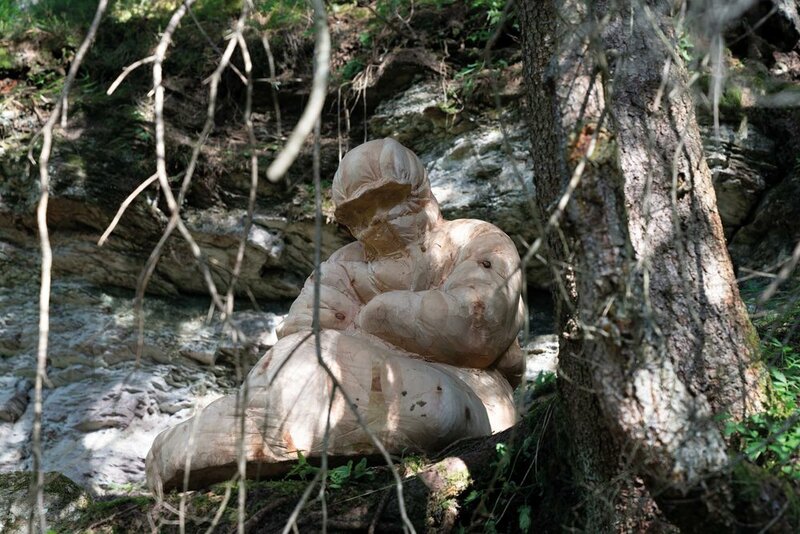 The figure of Jaroslav had been placed at Col de Flam by the artist and Andrej had been placed up on Cortina d’Ampezzo rocks and is available to the viewers through a lifestream installed in Circolo artistico e culturale in Ortisei. The philosopher Michel Serres as follows: “in the high mountains, my guide taught me the comfortable cold. ‘If you curl up into a ball’, he said, ‘if you defend yourself and get dressed, the enemy will penetrate down to your liver: cold is more invasive than you. No. Present yourself, uncover yourself, go toward it, make it your friend; it’ll respect you. Turn the against into a for.’ Yet without going beyond the lethal limit.